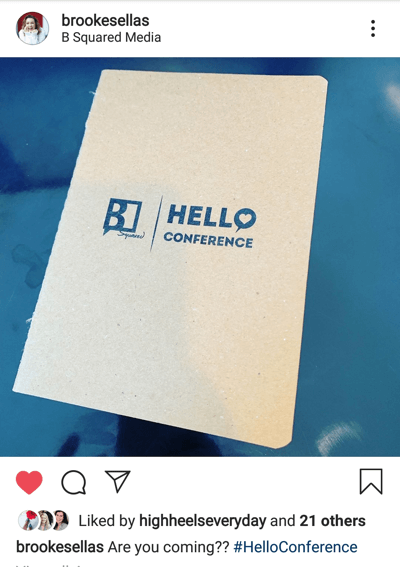 Want to make your Instagram posts accessible to a wider audience? Did you know you can add extra text to your Instagram posts that help the visually impaired consume your content? 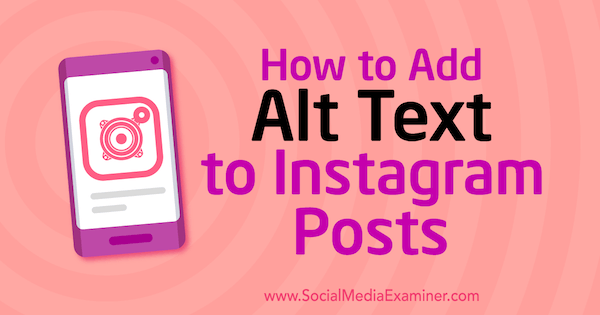 In this article, you’ll discover how to write and add alt text to your Instagram posts. What Are Alt Text Tags? Alt text is a short phrase that’s used to identify images, typically on web pages. But as social media expands, alt text is often added to images uploaded to social platforms as well. If an image fails to load, the text description that appears in place of the image is the alt text that was added to that image. Hovering over a web image will often display a description also, which comes from the alt text on that image. You can add alt text to an image when it’s uploaded to the site or edit or add it at a later date. Some sites (including some social media sites) may offer automated alt text for images based on artificial intelligence (AI) tools that scan the image for distinguishing characteristics. Traditionally, alt text serves two primary purposes. The first is for image recognition by screen readers. These software applications allow visually impaired users to hear the alt text. According to Paul Ferrara with American Printing House for the Blind (APH), both blind and visually impaired people are just as likely to use social media as someone with normal vision. They are, however, limited to the information provided by the screen readers. This information can come from post captions but the alt text better describes what the actual image represents. The second reason alt text is commonly used is to rank better in search engine queries. Most websites will focus on their SEO for text and page content. Photos and visual components are often significant search criteria too, and adding relevant alt text tags to the images will help with ranking in those search results. Currently, most Instagram posts aren’t appearing in search engine results, even when alt text is included. 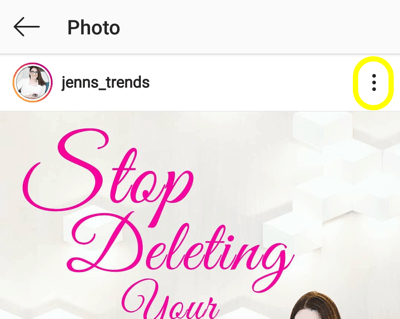 This could be due to a number of factors; however, as more high-performing posts with alt text are shared to Instagram, we could see the search results populating more of this content in queries. In addition to these traditional reasons, alt text could play a big role in the future of post rankings in Instagram searches and feed placements. Instagram has been working with AI tools to define and determine what content is in a post. This algorithm and technology help determine what content shows up in the Instagram Explore pages. But a photo of a beach doesn’t scream “entrepreneur,” even though we can make that rational connection as thoughtful humans. It’s possible that having well-drafted alt text descriptions in your posts can better serve your placement in those Explore page results for the topics your audience is looking for most. Now that Instagram has rolled out the functionality to add alt text, you can add it directly to new posts as you upload them or edit any previous post on your profile to add the alt text. You add the alt text component to your Instagram posts on the screen where you write your caption and add any other tags to the post. Tap on the Advanced Settings option on this upload screen. Then tap on the Write Alt Text section to access the screen to add your text. On the next screen, you see the image you’re tagging and a text box where you can write your alt text description. Add your alt text accordingly and tap Save when complete to return to the post upload screen. 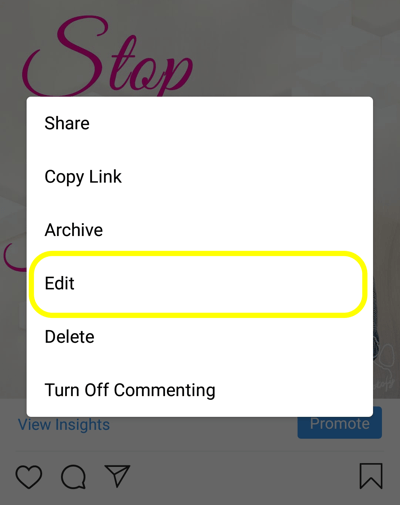 To add alt text to old Instagram posts, you need to select each post and manually edit it. To edit the post, tap on the three-dot button in the top-right corner of the post. From the pop-up screen, tap the Edit option to open the editing screen for your Instagram post. Once you’re in the edit mode of your post, you’ll see the Aa icon and Edit Alt Text in the bottom-right corner of the image. Tap on this button to access the alt text screen. 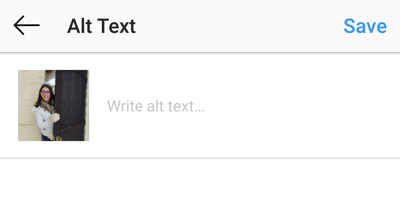 Similar to adding alt text to a new Instagram post, the text box will appear on the next screen where you can type your descriptive alt text. Tap Save or the checkmark to save your edits and return to the previous edit screen. Once you’re back on the main edit screen for your post, tap the checkmark in the top-right corner to save your changes and the new alt text for that post. When it comes to writing your alt text, there are a variety of factors to consider to maximize your results. From the screen reader perspective—for blind or visually impaired persons—it’s in your best interest to keep alt text phrases to fewer than 125 characters. Screen readers will break up text after 125 characters and make it more difficult to determine your post description if you exceed this limit. 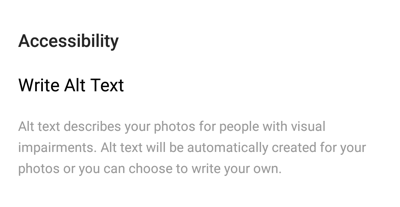 To be wary of this, and to prevent people from simply copying the caption and pasting it into the alt text field, Instagram has capped the alt text description at 100 characters. Screen readers will also be able to read emojis, so you can get creative and add emojis to your alt text descriptions if they align with your brand or message. And they may save you much-needed character space! Your alt text should include relevant keywords but shouldn’t be heavy on the keyword stuffing. Having one or two keywords that reference your post content or product is fine, but a long list of keywords strung together isn’t helpful. Remember that whether it’s a screen reader or a search engine, the people who are reading or hearing your alt text are humans and they read in sentence structure. Having your alt text formatted as such will make it more relevant and valuable to them. It’s a good idea to also include your company’s name or your own name in the alt text. This helps with both the recognition of people getting your content from a screen reader and with search results for your brand, regardless of the context of the post. Your alt text doesn’t need to say “photo of …” or “image of ….” It’s clear that it’s an image and those characters are essentially wasted space that you could have used on more descriptive aspects of your post. 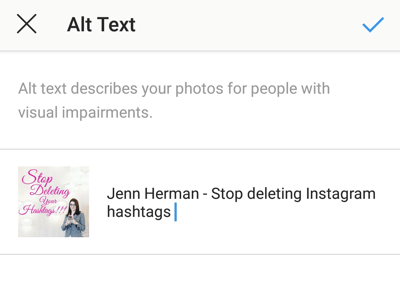 In an effort to make the platform more widely accessible to people, alt text is being automatically added to all Instagram photos. This automatic description will use object recognition technology and AI tools to determine what’s in the photo and provide a generic description of the post. As you can imagine, these descriptions won’t be very illustrative, they’ll lack context, and there won’t be branding components to them. To have those well-formatted descriptions with keywords and context, you’ll need to edit or add your own custom alt text. 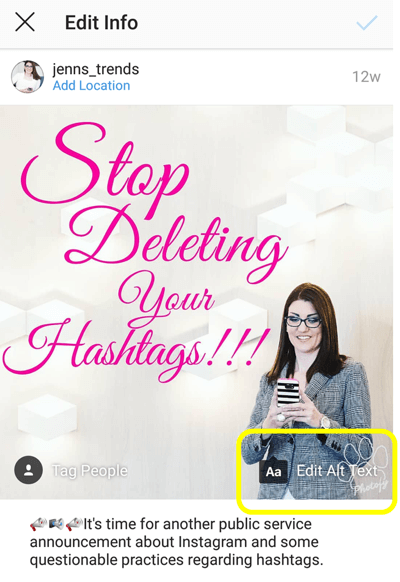 Ideally, you should add alt text to all of your Instagram posts. 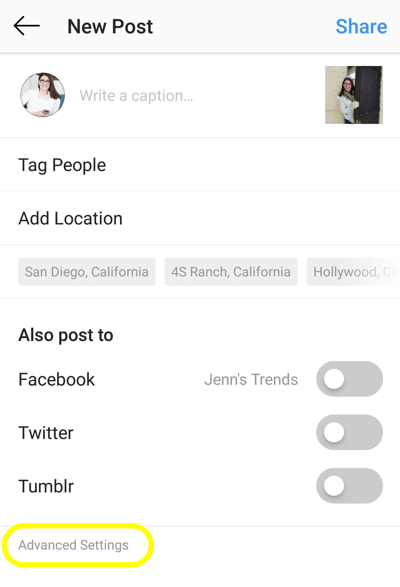 When you upload any new posts to Instagram, you can add your alt text, making this a part of your regular post upload process. For older posts, it may be overwhelming to go back and edit all of your content. Instead, focus on updating your most popular posts, your product or service-related posts, and your most brand-relevant posts that you’d want to appear in search results. Additionally, if you work with influencers or ambassadors, you can ask them to include the alt text descriptions in their posts for your brand. While most influencers want to write their own captions and stay true to their voice, the alt text wouldn’t impact their content branding. Having them include alt text related to your brand or product would provide more exposure for you. In these situations, you would likely want to write the alt text as you want it to appear and provide it to the influencer so you’re consistent in the content. The introduction of alt text to Instagram posts demonstrates the value of visual content and SEO for social media. 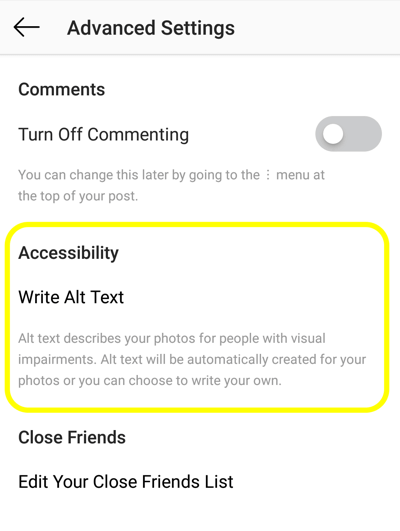 It also shows an awareness of the need to provide access to more users by ensuring those with visual impairment are able to enjoy Instagram. As alt text descriptions become more common with Instagram users, we’ll see even more value in tailoring this content for more exposure and opportunity for growth. What do you think? 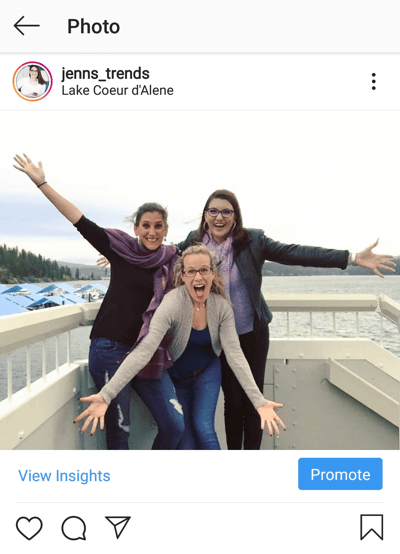 Have you added alt text to your Instagram posts? Are you going to start using alt text after reading this? Please share your thoughts or tips in the comments below. Find out how you can generate more organic engagement on Instagram. Discover four Instagram grid layout planning tools. Learn how to set up the Instagram countdown sticker in stories.